This whole argument is embarrassing to be fair. Club raises money for a good charity and there's complaints about this, because it's not local to them? That's a pretty pathetic argument. There IS no argument. Everyone acknowledged Temple Street is a very worthy cause. There was a very reasonable suggestion that a more local cause might have been considered and some Dundalk fans lose the head - one even spouting gibberish. Great cause, well done Dundalk, everything they do is beyond question. Yeah I was thinking ah here a fourth jersey really? Then I saw the hashtag. Well done to Bill Carrigan who raised €2,929 for Temple St Children's Hospital on by completing a 53km run. No in patient paediatric service in Naas.Anway he comfortably from within the Pale, so no prob! 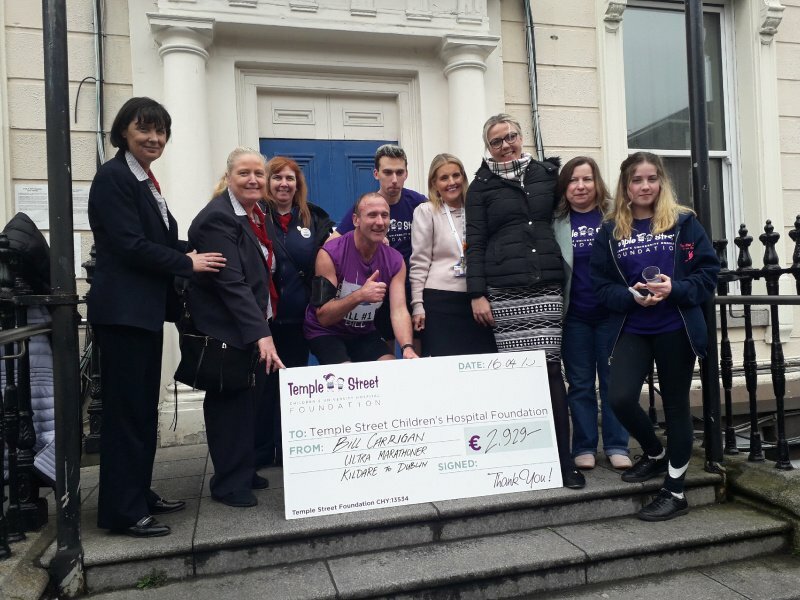 Are we going to start posting every fundraiser that happens for Temple Street now?